MOVE IN READY! 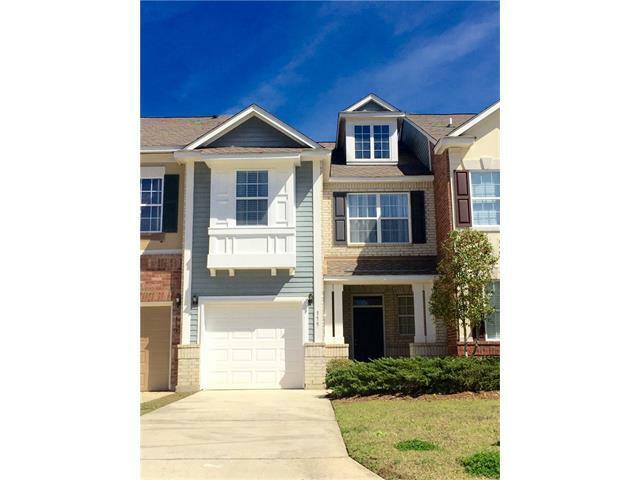 THIS BEAUTIFULLY PRICED 3 BR 2.5 BA TOWNHOME HAS EVERYTHING YOU NEED & EVERYTHING YOUR POCKETBOOK WILL SMILE ABOUT. FRESHLY PAINTED & NEWLY CARPETED (AUG 2015)-OPEN FLOORPAN W/ 9' CEILINGS BOASTS HUGE KITCHEN W/ CHERRY CABINETS & GRANITE, LARGE BAR OVERLOOKING LIGHT & AIRY DEN/DINING & BACK PATIO COMPLETE WITH FENCED YARD & ATTACHED STORAGE SHED. MASTER SUITE HAS A MASSIVE WALK-IN CLOSET & BATH BOASTS DBL SINKS & A GARDEN TUB. PRE-WIRED FOR SECURITY & SURROUND. PRICED TO SELL!!!! Listing provided courtesy of Lesley Troncoso of Re/Max Alliance.